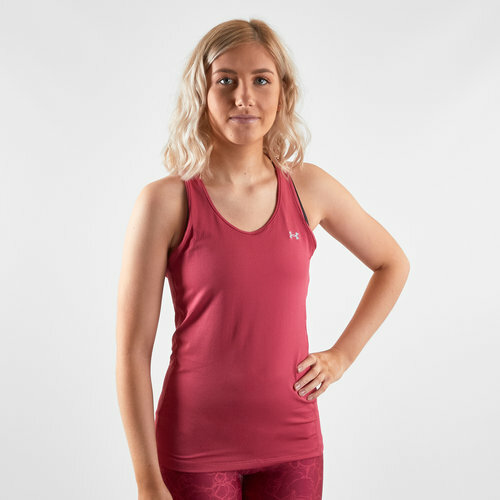 Stay cool in the warm weather or when your workout gets tough with this Under Armour HeatGear Armour Ladies Racer Tank Top in Impulse Pink and Metallic Silver. This ladies tank top has been crafted with a next-to-skin feel but without the squeeze so that you can carry on with your workout in peace. The light but locked-in pinhole mesh delivers superior breathability without sacrificing coverage. The material wick sweat away from the skin to keep you cool and dry whilst also drying really fast preventing that sticky feeling.